Residents across the country have re-branded streets and decorated houses and landmarks to remember those who died in the First World War. Communities across the UK and Ireland have come together in remembrance of all those who died in the armed forces, ahead of Armistice Day on Sunday. Streets and landmarks have bloomed red with poppies and decorative panels as the country prepares to mark the 100th anniversary of the end of the First World War. Here are some of the most striking, inspired and creative displays commemorating fallen heroes. Residents in Aldridge, near Walsall, have re-branded one street with 24,000 poppies, while silhouettes of troops and posters show where those who died in war once lived. The display on Station Road, organised by Aldridge Great War Project and Aldridge Local History Society, spans some 100 homes. The west front of Salisbury Cathedral in Wiltshire has been lit up with an animated light show of falling poppies in a projection organised by The Royal British Legion. The Falling Poppies project will run until November 11 to help raise awareness of its Thank You campaign, which invites people to give thanks for the sacrifices made by the First World War generation. 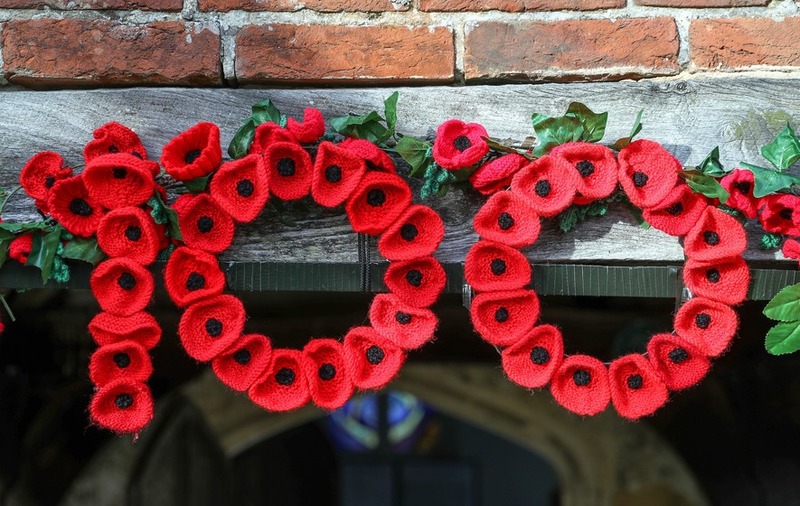 Teresa Elford, of Sudbury Town Council, organised a cascade of more than 21,000 knitted and crocheted poppies covering the local church, many of which were donated from all over the world. 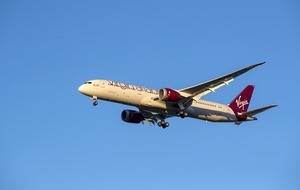 Ms Elford said the initial target for the project was 5,500 poppies but the idea became popular on Facebook and people as far as Australia and Denmark began to contribute. A group of local “yarn bombers” in Haverfordwest, Pembrokeshire, decorated trees, lampposts, bollards and bus stops across the town with 4,600 knitted poppies. 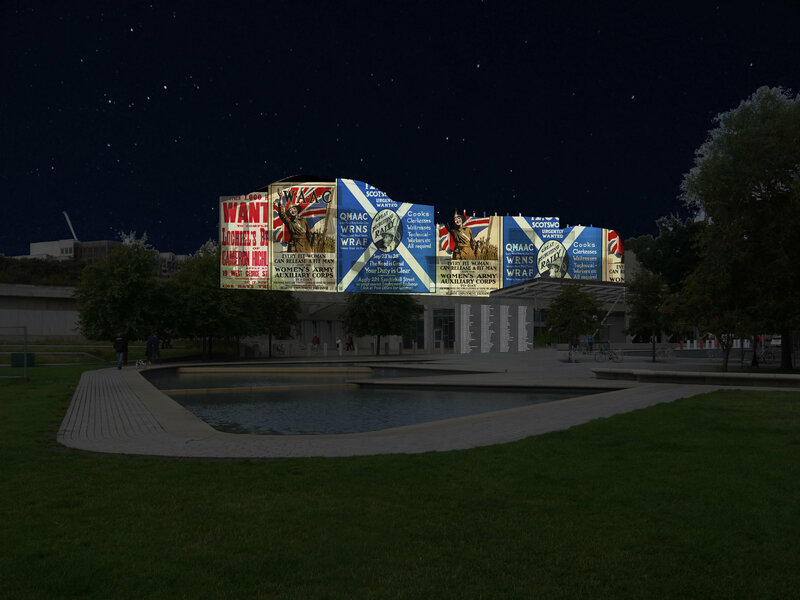 Visual artist Ross Ashton created a seven-hour light show, projecting the names of all those who died serving Scotland in the First World War on to the Scottish Parliament building at Holyrood and telling the story of the war in images. David Allfrey, chief executive of The Royal Edinburgh Military Tattoo, said: “This event is hugely important and will help us to reflect upon all we’ve learned over the past century, and in particular these previous four years. An art installation containing thousands of messages in memory of those killed in conflict went on display at Dublin’s St Patrick’s Cathedral. Some 36,000 handwritten messages on leaf-shaped pieces of paper were hung from the ceiling, one for each Irish man or woman who died in the First World War. “It is quite an emotional thing when you begin to think about what it represents,” said lead artist Ciara Ni Cheallachain. 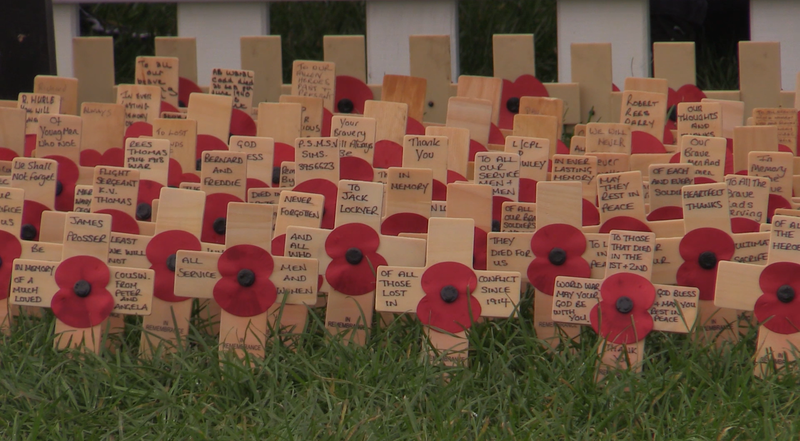 The Royal British Legion has created a Field of Remembrance at six sites across the UK. Cardiff Castle holds more than 6,000 crosses and commemorative markers with each featuring a personal message in memory of servicemen and women who died in the First World War. The others are located in London, Belfast, Gateshead, Staffordshire and Royal Wootton Bassett, with more than 120,000 crosses laid in total. Thousands of shrouded figures have been laid at the Queen Elizabeth Olympic Park in an art installation representing the men who died at the Battle of the Somme and whose bodies were never recovered. The installation, representing 72,396 soldiers, was developed by artist Rob Heard over five years, and covers 4,400 square metres, almost the size of a football pitch. Yeoman Warders, known as Beefeaters, who served in the military, as well as other representatives from the armed forces are lighting flames in the Tower of London moat in individual canisters for four hours until 11 November. 10,000 flames in total will be lit and will be accompanied by a commissioned sound installation featuring choral music and words from war poet Mary Borden’s Sonnets to a Soldier. Many of the volunteers who will be helping light the remaining flames on the bridge and the empty moat were also involved in the display of poppies at the landmark in 2014, according to spokeswoman for Historic Royal Palaces.